After the death of Krizalid and the disappearance of K', NESTS decided to comb their research for errors. K9999 became the "perfected" 9999th Kyo clone. 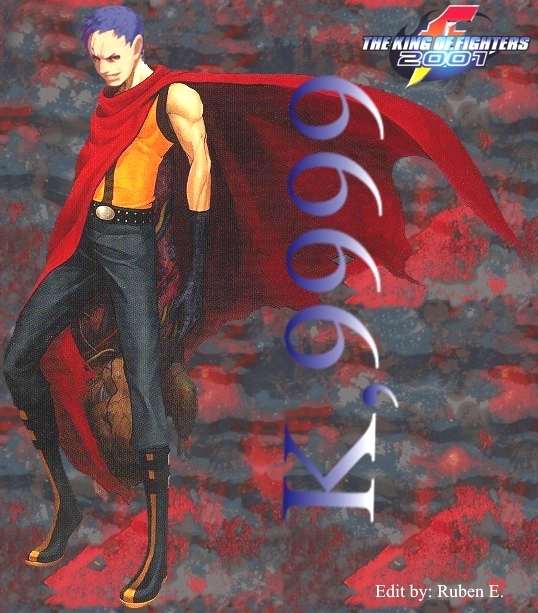 Unlike K' and Krizalid, K9999 was created ground-up as a clone from Kyo's DNA. He wields an enormous amount of power but has trouble controlling it. 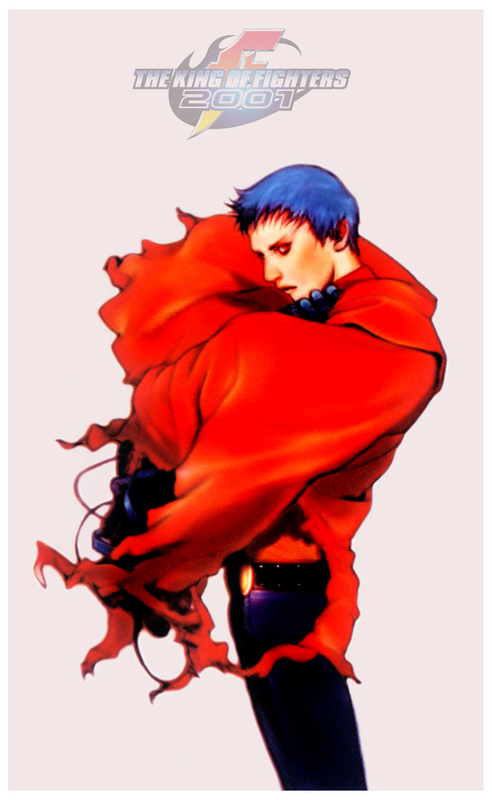 The blue glove he wears helps him control his shapeshifting powers and keep them from going berserk. 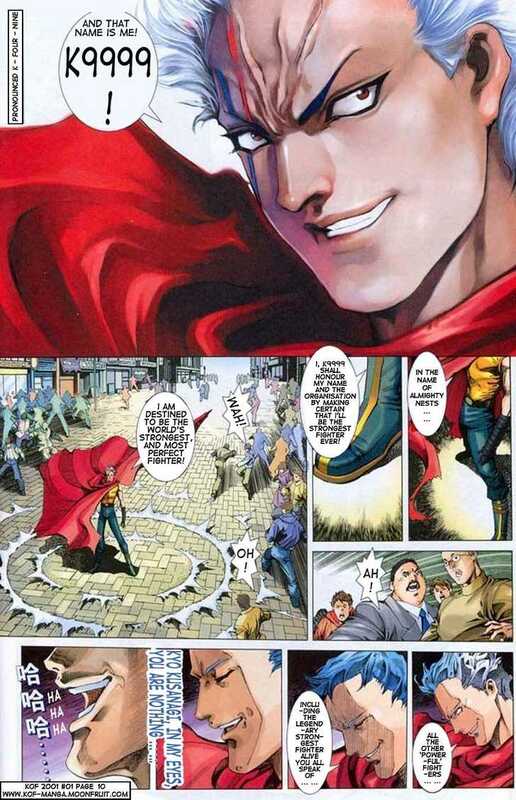 His main purpose in the KOF 2001 storyline is to dispatch the rogue creations that had escaped from NESTS's grasp. He apparently does not discover that he is a clone himself until after the destruction of the cartel. 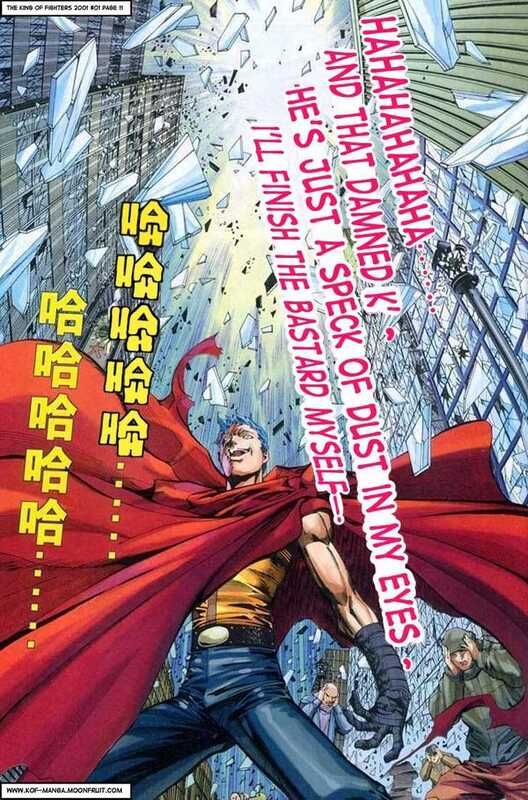 K9999 became known to be an angry and lonely young man... only Angel seems to like him. 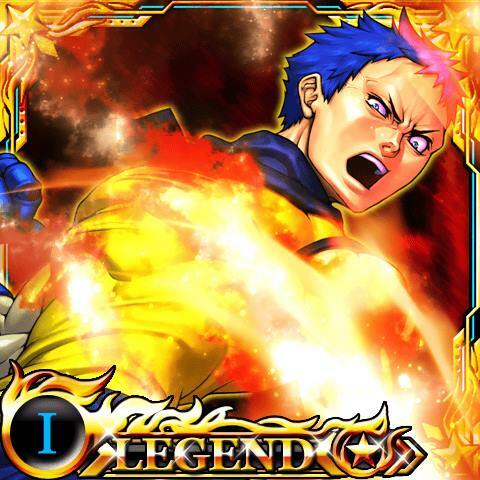 He gladly stabbed Foxy in the back on orders from Igniz, but had to flee when K' came to save Kula. 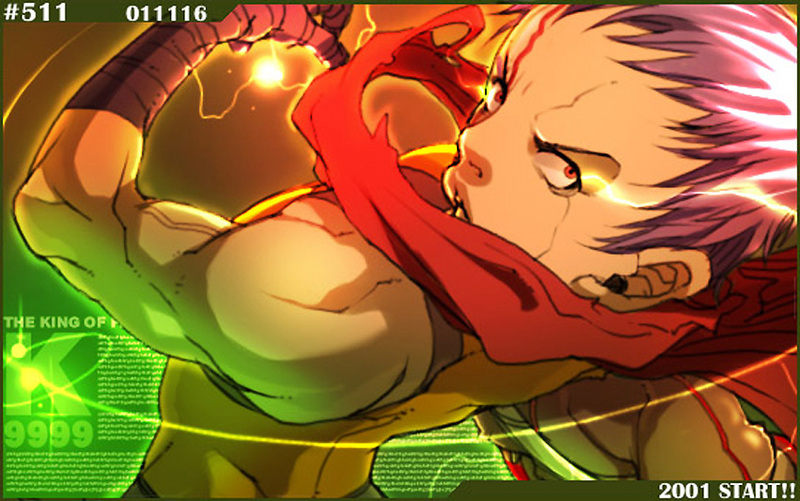 His name is pronounced K-four-9 and he is heavily based off of Tetsuo from the animated film, Akira (1988). 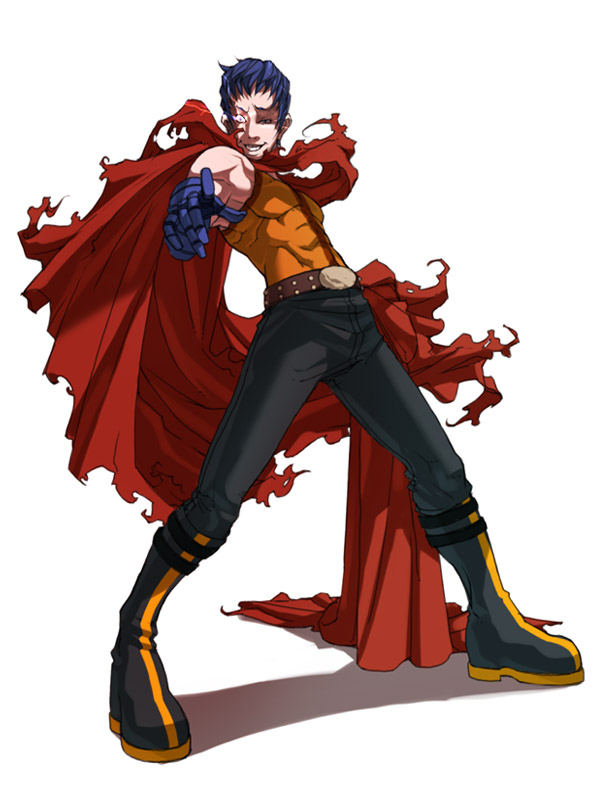 He is pretty much a carbon copy of Tetsuo from Akira, but he ended up being a fairly cool KOF character. 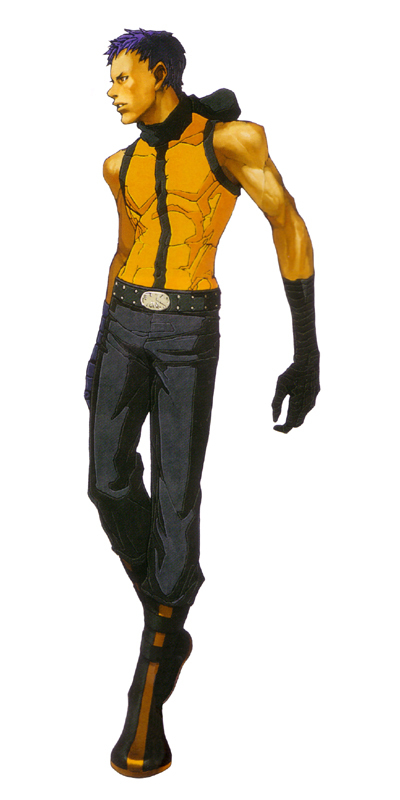 I guess SNK decided to do away with this design in fear they might actually get sued by creators of Akira, as they left him out of KOF2K3 and KOF XI. 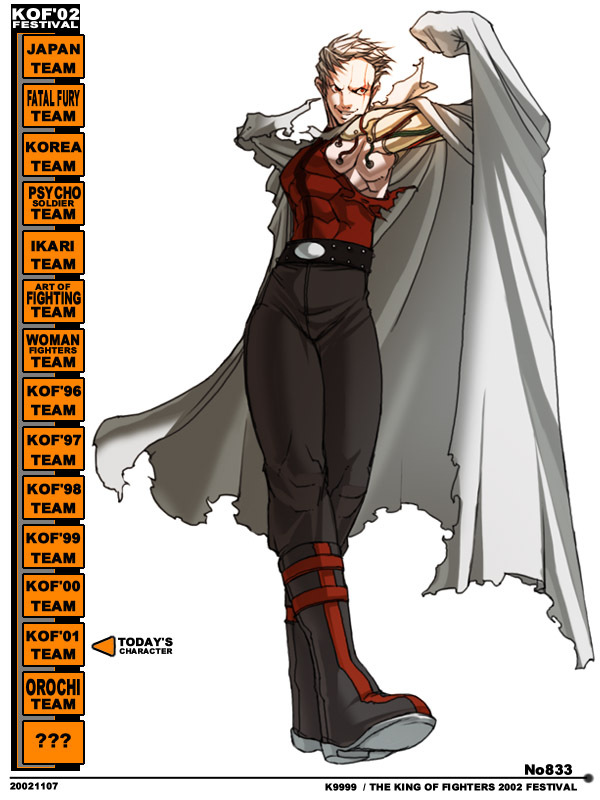 They replaced him with Nameless in KOF2002: Unlimited Match (who shares very similar moves).